You have three weeks to cancel plans and make new ones with all your pals, as Jackbox Games have announced their next bumper bundle of local multiplayer foolishness is almost here. 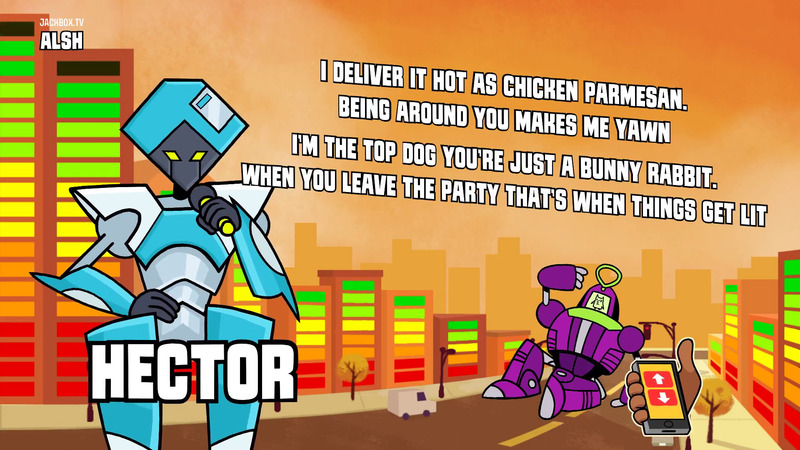 The Jackbox Party Pack 5 is coming on October 17th, which is a Wednesday so maybe shoot for the 19th or 20th to fill a room with your chums (or a chatroom, if you don’t mind wangling it online) to rap battle with robots, draw silly things, play an alien game show, answer weird trivia in You Don’t Know Jack, and more. It’s hard to guess which Jackbox games will be hits ahead of time, but each Party Pack is always fun to work through to discover the hot new weirdness.